Tic Tac Trance #136 Replay available! Tic Tac Trance #135 Replay available! 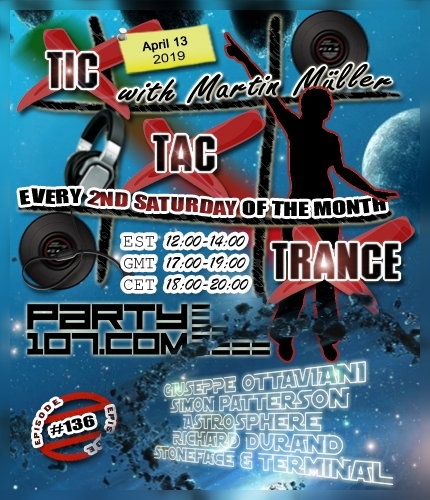 Tic Tac Trance returns on March 9 2019 with episode #135 on Party107.com. You can expect for this show an uplifting 2 hours underground trance mix which features tunes of labels like Black Hole, Pure Trance, Grotesque, Who’s Afraid Of 138?! and many many more! Make sure to tune in! 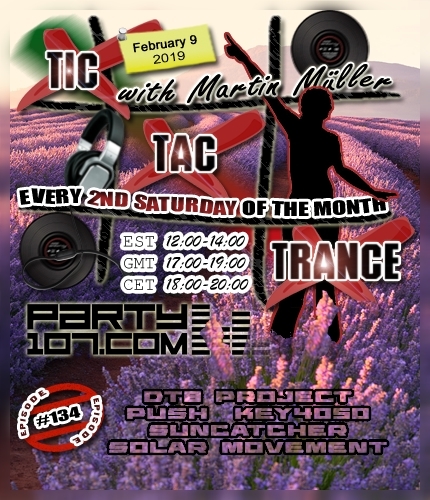 Tic Tac Trance #134 Replay available! 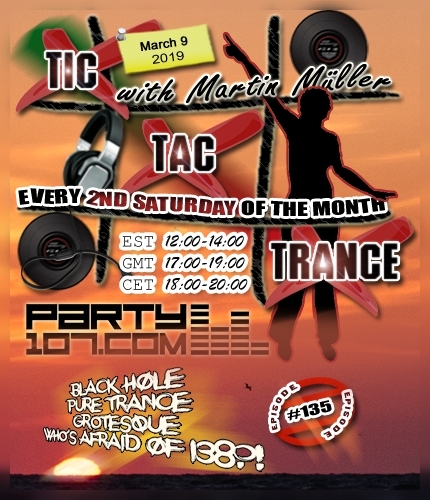 Tic Tac Trance #133 Replay available! Happy New Year! I hope you all had a good start into the new year and that most of your goals will be accomplished! 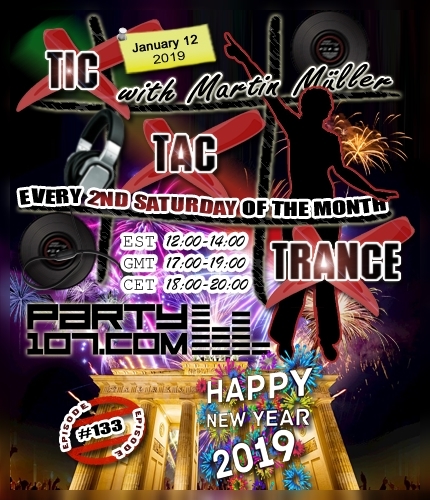 Episode #133 of Tic Tac Trance will be broadcasted on January 12 2019 on Party107.com. This time I’ve prepared an uplifting 2 hours underground trance mix which features tunes of labels like Vandit, Black Hole, Pure Trance, ASOT, Perfecto Fluoro and many many more! Make sure to tune in! Tic Tac Trance #132: Yearmix 2018 Replay available! 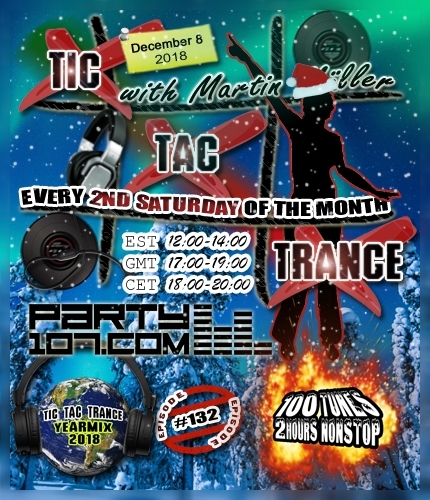 100 Tunes, over 1400 Edits, and too many hours of work, this year’s final episode #132 of Tic Tac Trance will air on December 8 2018 @Party107.com! Together with you I’ll celebrate my favorite progressive & techy, but also uplifting & psychedelic underground trance tunes of this year in a 2 hours nonstop mix. You can expect a crazy mashup festival with my highlights of this year’s trance selection. Are you interested to see HOW the mix was actual done? You can check out the Tic Tac Trance #132: Yearmix 2018 Time Lapse Teaser Video on Youtube.com/TicTacTrance!